A city council in Scotland is considering a crack down on “silent discos,” which residents have complained are too loud—making them just regular discos, I guess. 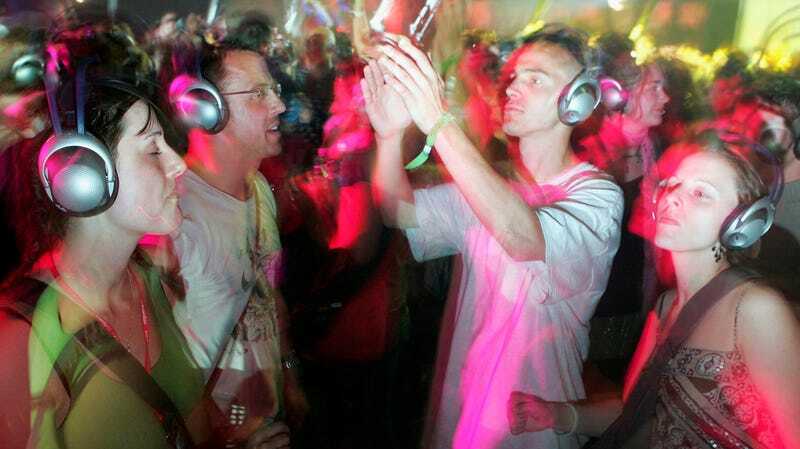 Silent discos involve a group of people dancing to music they are listening to through wireless headphones rather than a publicly audible speaker system. According to the Herald Scotland, Jay Feeney, marketing director of Silent Adventures, said that his company is the only group running silent discos in Edinburgh year-round, and blames the city’s fringe festival for complaints about the gatherings. Mowatt told the Herald that the council might be able to find existing statutes to regulate the events, complaining that the city’s current approach is ineffective. “The current legislation does not serve the residents of the city who never get a break from activity such as this,” she said. Are humans too noisy for the rest of the world?